In our first article about how to understand the performance of a modern airliner we defined the main forces that are acting on an aircraft flying in steady state cruise. In our clinic we use the ubiquitous Boeing 737 in its latest form, the 737 MAX 8, to illustrate our case. In the second article we introduced the aircraft’s engines and understood how they function by pumping air backwards faster than the aircraft’s speed and therefore generating thrust as air is in fact quite heavy. We also looked at the influence of flight altitude on the performance of the aircraft. For cruise lift is the same force size as weight, only opposite. To understand the cruise phase we can therefore focus on how much drag this lift force and the aircraft’s friction against the air create. When we have this drag we also know the engine thrust and we can calculate the cruise fuel consumption from the engines fuel consumption per unit of thrust and hour. We also found that it is beneficial to fly high as the airs density diminishes and with this the airs friction against our aircraft’s skin. Our lift force is generated by forcing air downwards and this causes drag due to weight as this downwash cost energy to generate and maintain. The air resists being downwashed and slinks up on the side of the wing thus generating large vortice sheds which consumes energy. This drag we call induced drag or drag due to weight. We diminish this re-circulation of the air by spreading our wings as wide as we can, in fact we get double reward for increases our span, it counts twice in induced drag reduction. Our limit to fly high for our cruise is set by the increase in induced drag, we are seeking a flight level where we have a drag minimum when adding the diminishing friction drag and the increasing induced drag. We also have a problem with climbing to a to high cruise flight level, our engines lose power both due to the thin air and due to the aircraft’s forward speed. Finally there are supersonic phenomena which stop high cruise altitudes. As the air gets thinner the wings need to throw the air downwards with higher speed (increase wing canting or alfa angle). This means the air on the top side of the wing has to speed up and is therefore going deeper into supersonic flow on parts of the wings overside. This causes disturbances called buffeting when these supersonic areas grow to strong. Having covered the most important aspects of cruise we will today look at takeoff, a subject with a lot of aspects. Takeoff is one of the most difficult phases of flight and it is also difficult to estimate the takeoff performance by using analytical models. This has to do with the fact that the performance we seek is not the actual takeoff performance of the aircraft but the worst case of different takeoff scenarios. These scenarios cover when one engine goes inoperative before we have lifted off or when it has trouble just after we have lifted off. If it was only the actual performance that we want to understand it would be simpler, but that is not what is written in aircraft brochures or flight manuals as takeoff runway lengths requirements. or the distance to continue the flight and pass an obstacle at height 10 m (35ft) if we have already lifted off when an engine stops or have trouble. This is the runway length required which is quoted in publications around the aircraft or its flight manuals. It is also called the balanced field length and is the minimum distance we need for a safe takeoff, whether aborted or carried through, regardless if we have an engine failure or not. It also means that the normal takeoff run for an aircraft is considerable shorter than the figures one sees in short form specifications (flight manuals also lists the actual runway used in a normal takeoff on top of the balanced field length). As civil aviation is focused on the safe transportation of passengers one always plans for the worst scenario, the small chance that an engine problem happens during the takeoff procedure. Therefore the interesting figure to understand is the safety related runway length requirement, it will govern how much we can load our aircraft for the day. How this balanced field length is defined and measured is governed by the certification authorities in the country where the aircraft operates. Most countries follow the standards defined by the US authority FAA. that we will lose thrust during takeoff as our aircraft is increasing speed to gain lift for our wings. Our engine, the LEAP-1B, has a static (standing still) thrust of around 27.000 lbf if we are close to sea level. Should our takeoff take place at Denver we would have a loss of thrust as our air mass is no longer 1.2 kg per m3 or 0.081 lb per cubic feet. Denver is called the “mile high city” so altitude is around 1600m. At that altitude our air is only weighing around one kg per m3. It means we have lost 20% of our thrust before we have even started the ground roll for takeoff if the engine could not compensate for the thinner air in some way. The actual degree of compensation is dependent on how the engine control computer (the FADEC) is regulating the engine based on its internal limits. How this all plays out is beyond our scope, what is sure is that the engine lose thrust with takeoff altitude, how much varies from engine to engine. In addition we lose thrust due to forward speed. At a critical point just after liftoff called V2 or the safety speed point where we shall pass a 10m (35 ft) high obstacle with positive climb speed we would have lost around another 25% thrust due to lapse. So on a standard 15°C day we are down at 20 klbf thrust should we start from JFK and 17 klbf (or a bit better dependent on how the engine copes with thinner air) should we start from Denver. An increase in temperature also make things harder, the air density and therefore weight diminishes with another 5% should the temperature increase with 15°C to 30°C, affecting both wing lift and engine thrust due to our air density getting lower i.e. air weight diminishes. Our engine could also start to get in trouble with internal temperatures, its actions in that case its controlled by the engine computer (FADEC), if the internals gets to hot it will throttle back the thrust at these temperatures. So there are a lot of factors at play for takeoff, lets now see how this would affect our 737 MAX 8 lining up for takeoff at either JFK or Denver international. We will conduct our takeoff at max takeoff weight this time as this is the most critical condition. In our case of the MAX 8 we have 92t or 181,000 lb on the scale as we line up. At JFK we would have 2*27,000 lbf at our disposal to accelerate the aircraft initially and get it into the air. Our wings would then lift an equivalent of 181,000 lb. This is called the rotation point or even stricter the lift off point which is a bit further out than when we start the rotation. Our model gives a lift off distance of 5,900 ft and a balanced field length of 8,300 ft. It shall be pointed out that we don’t have the type of data for the MAX 8 that Boeing has and use in their development. We have made assumptions of the wings maximum lift when dragging the tail in the runway (the spectacular minimum unstuck speed test which is used to find the max lift for the wing) and then backed off the lift with the amount that FAA prescribes that one do for takeoff calculations. We have also made calculations around the LEAP-1B engines lapse, the exact figure off which only CFM knows. But our purpose is to get the overall dimensions of things, not to write the flight manual for the MAX 8, and for that our model can help. If we now change airport and start at Denver instead with the same aircraft and payload we will get a lift-off distance of 8.100 ft and a balanced field length of 11,500 ft. This planning field length can be too long on many airports but not in this case, Denver international has one of the longest runways at 16,000 ft. So we would be fine as we would have quite some margin from our tire speed limit of 200 kts with our lift-off speed of 165 kts. In this example we have been assuming that the LEAP only lose another 10% of takeoff thrust due to the high altitude. That might be optimistic dependent on what is the limiting factor for the engine thrust. As said, we are not trying to nail the exact numbers, merely learning about the factors that affect our takeoff distance for different cases. An increase in temperature also affects takeoff performance, the air density and therefore air weight diminishes with another 5% should the temperature increase with 15°C to 30°C. This affects both our wings lift capability as the air that we force to go downward with our downwash gets lighter (air density goes down) and it affects our engines, both in terms of lowering the weight of the air passing the engine but also due to the increased air temperature that enters the engine. Turbofan engines run their hot parts close to the materials temperature limits and should the air before compression be significantly warmer than normal the engines control computer, the FADEC, will throttle back engine power from a pre-programmed temperature point to save the engine from self-destruction. This point is often +15°C over the ICAO standard day temperature which is defined as 15°C or 56°F. 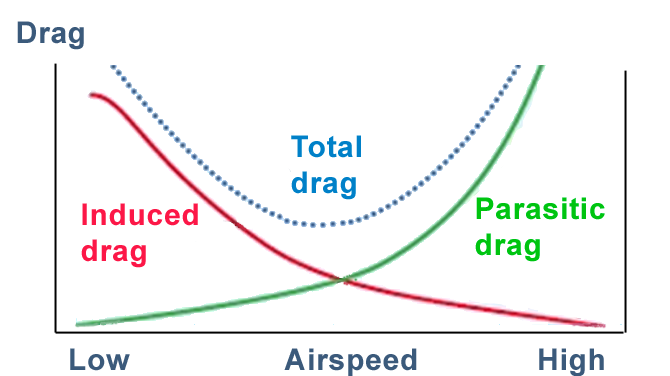 Figure 1 show the principle variation of our two major drag components as the aircraft goes from low speed to high speed. The figure is simplified as we do not have the influence of altitude plotted but the purpose is to understand how our drag forces affect our takeoff and climb out. We see that induced drag is the dominant drag directly after lift-off. As the airspeed is low our drag which is caused by the friction of the air against the aircraft’s skin is low; the parasitic drag as the experts call it or drag due to size as we call it. The problematic drag is induced drag however, in our MAX 8 case the induced drag directly after liftoff is 15,000 lbf and the parasitic drag 2,000 lbf. This is why span and winglet technology is important both for takeoff performance and cruise performance, the better the aspect ratio the lower the dominant drag after lift-off and our engines get an easier life. As we have seen in previous parts the two drag components swaps place as the aircraft gains speed. Parasitic drag becomes around 60% at cruise and induced drag 40% of total drag. How this transition takes place during climb to cruise flight levels and the problems involved to reach cruise altitude will be the subject our next article in this series. Takeoff distance given in brochures or brief specifications is not what is says, it is the planning distance for the worst case if we lose an engine, either before or after lift-off and is longer than our lift-off distance with all engines running. Hot and high is a real problem for takeoff, it affects both the aircraft’s lift capability and engine thrust. We then quickly get into a situation where our planning distance (balanced field length) gets longer than the airport’s facilities offer us. Then we have to block of seats to get the takeoff weight down. Induced drag is the major drag component directly after lift-off. Our speed is low so our friction drag is low. Modern wings, which have high aspect ratio, therefore help both with our capability of hauling a large payload into the air and cruising it at a high (and therefore economical) altitude.